Have you ever saw people wearing colorful and big sized button badge that is not matched with what they are wearing but still looks outstanding? Well, that is obviously some way how branding is advertised. Button badge is just a medium, the words that are printed on the badge is the main reason why they willing to wear this badge. 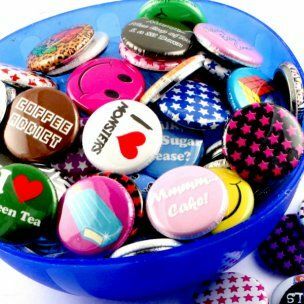 Not everything about button badge is just for promotional activity. There are also people wear the badge to add accessories and looks trendy. Button Badge is walking, talking Billboards! You can add Button Badge at a hat, shirts, handbag, jacket, you name it.. Looking for personalised button badge for any reason’s and any occasion?? Contact us today for the best price!! !